Good morning! Hope you had a good week. I took ‘Excellence in Early Years’ up to Scotland for my first official ABC Does conference North of the boarder in Glasgow. I had such a great day with a great bunch of people. I even got my own tin of Hawick mint balls to compare with the tin of Uncle Joe’s that I got when I went to Wigan. I will let you know which one I prefer! I will definitely be back to Scotland! When I first came across Tales Toolkit, I loved the simplicity of it. I have featured on my blog a couple of times and have seen its popularity grow. This week I an email from a school who had used it after seeing it on my blog and they are getting some amazing results, especially with their reluctant talkers and mark makers. I thought today I would share this blog post from Kate (the founder of Tales Toolkit) again incase you missed it last time. And the main man himself Alistair is doing a Tales Toolkit webinar next year. So, if you join Tales Toolkit you could soon be chatting with Alistair online (It’s the handbags at dawn photo again Alistair!). Have a great weekend – I am going to be planting the Spring bulbs that have been sitting in our utility room for the past 2 months. I hope they still sprout! As an Executive Head and former Early Years Lead, I can definitely vouch for the impact Tales Toolkit has had. Given the uptake in data, we are now working with Kate to roll it out across Key Stage 1, since the majority of our children are leaving Reception at Exceeding in Reading and Writing, despite many coming from backgrounds where they are simply not exposed to much language. We have found the resource is particularly useful for inexperienced teachers, or those who are simply interested in developing their skills, given that it is such an easy yet effective tool (pardon the pun). The challenge this year will be to ensure that those who have left Reception with a 3 (we began using the kit 2 years ago) will be exceeding under the new Key Stage 1 Assessment Framework- we have begun adapting Tales Toolkit to fit our current Year 1 curriculum (I think Kate has plans underway for this) so hopefully that will be the case next academic year. Once again, I thoroughly recommend this resource- it’s one of the few which I’ve seen truly ‘stick’ over many years! As a local authority we are always looking for new ideas to inspire our early years practitioners and teachers. We funded Kate to provide a full days training for our partner settings/schools and a workshop at our annual conference. The feedback was so positive. Talestoolkit is a fantastic early years CPD resource built on the principles of the EYFS curriculum. Not many training resources or teaching approaches for schools particularly, start with the early years and the Prime Areas. We are continuing to promote it following the impact seen in a number of our schools where children’s C and L levels are really low. A great use of EY and Primary Pupil Premium in our view. It is also more cost effective and has the greatest impact when used across a staff team nursery, reception and YR1, including TAs and really improves EY outcomes. Now that you’ve had a ‘taste’ of Hawick with our famous Hawick balls – why don’t you visit us at Wiggly Worms Nursery in Hawick for a true taste of the town! We would love you to visit ?. We purchased Tales Toolkit last year using our Early Years Pupil Premium. Like many schools our lowest exit scores were in ‘Literacy’ and we knew that we needed our children to be able to tell stories before they could think about writing/recording them. We are a Maintained Nursery School, so only have 2 teachers, lots of qualified Level 3 people and assistants. It wasn’t just the resources that appealed to us it was the whole package of training and online support that went with it. Because all staff were trained via very simple to watch bite size staff meetings the impact was immediate and infectious. Staff were easily able to support each other because they had ALL been trained. The children loved it and it was wonderful to watch their skills grow as the year developed! We are passionate about open ended resources that can be used in numerous ways and Tales Toolkit ticked this box. And our Literacy scores were better than they ever were by the end of the year! For us it was worth every penny. Hello, I don’t normally comment on blogs but I really wanted to chat about the impact Tales Toolkit had for me. I teach special needs children and the resources have made a huge difference for the children I work with. They clicked with the symbols and took on ‘Problem – solution’. I often hear the children now independently problem solving and I’m constantly amazed at the changes I see. They see that where there are problems we look for solutions. And it’s made a difference to language, creativity, literacy, writing and confidence for the children. The training has been a lot of fun and it’s been great that we could do this as a team, at our own speed and take the time to embed the practise. Also as I live in a small town I don’t always have access to training and having the webinars has been fantastic. Loved yours Alistair! And I can watch them from my sofa with a glass of wine. I would def recommend Tales Toolkit to anyone thinking about getting involved – one of my favourite parts is that there’s very little work involved in making this happen (no planning is always a good thing) and you really get to have a bit of a laugh with your children while ticking the boxes you need to cover. To anybody reading this post, I just wanted to let you know how Tales Toolkit has been for us in our setting. We are a large Primary School and have been using TTK in Nursery and Reception for the past year and have just renewed our subscription for a second year, as there are still so many exciting developments on he way, that we would like to be part of. Our Key Stage 1 classes have also been working with Kate on taking TTK further up school. I can honestly say it is the best resource we have ever used and has been worth every penny. The children (and staff) absolutely love using it! The impact has been dramatic. It has made such a differerence in so many areas – levels of motivation, confidence, creativity, speaking and listening to name a few. Our data last year demonstrated how effective TTK had been particularly in helping to ‘close the gap’ for our Nursery boys and also in raising our Good level of Development at the end of Reception. Each of the online training sessions are inspiring and the Early Years staff actually looked forward to our TTK staff meetings! There’s also a huge amount of ongoing support via the website, forum and webinars. For anybody considering using TTK, I would say go for it. You won’t regret it. Ive just been reading the comments as I’m always interested in checking up on Tales Toolkit latest developments. I was lucky enough to be one of the 1st teachers/school to use Tales Toolkit and as we were piloting we didn’t have to pay the costs mentioned above so I really can’t comment on that. However I can comment on the difference between Pie Corbett ad Tales Toolkit. For Early Years children, this is the real “talk for writing”. We used Pie Corbett strategies at our school and In Nursery I found Tales Toolkit much more relevant and productive as well as engaging for our children. I think that if Pie Corbett talk writing strategies are properly developed throughout a school then Tales Toolkit works really well alongside. 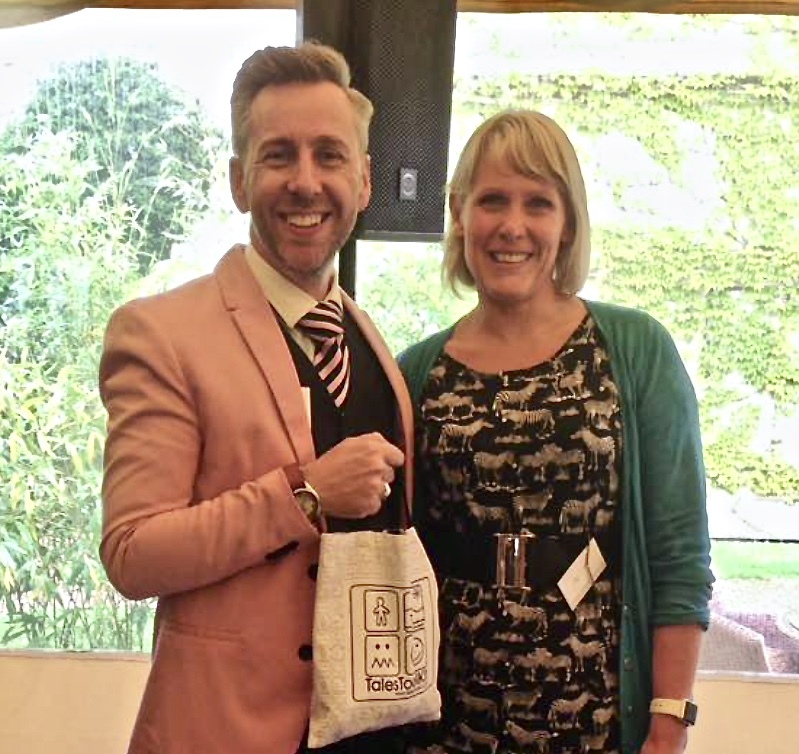 From my personal experience I would use Tales Toolkit in Nursery and Reception before Pie Corbett because of the speech and language developments that were evident during our pilot. Most importantly the children live it and it is impacting on their talking and mark making. My school has used the Tales Toolkit approach in the Nursery and Reception classes throughout the past year, and I can honestly say it was worth every penny we spent! Not only does it give a structure for children’s oral and written stories, with open-ended and practical resources, but it supports the role of the adult in creating an environment and culture for enjoying creating stories. As a team we appreciated the training and gap-tasks which made us reflect on our practice and improve our provision. The evidence is clear- by the end of the year we had far more confident, creative speakers and writers across all groups. You can’t put a price on that! Hello, I’m sorry that you both feel that way. It’s tricky to write in a short piece exactly what Tales Toolkit entails and maybe I didn’t manage to give the full picture. It is a simple concept which is what makes it so effective but what you might not have picked up from the blog is that I’ve spent the last 8 years developing the symbols and training with top experts and teachers. You’re right, we’ve learnt from tried and tested techniques. I was lucky enough after winning the Teach First award to spend a lot of time working with their team researching what works and planning how to train staff to make max impact. I left a job as a deputy and early years consultant and still every day I continue to learn and use this to develop the Tales Toolkit package. We have lots of schools using Tales Toolkit alongside Pie Corbett and it’s very different and sits alongside ‘Talk for writing’ really effectively. You might not see the full differences until you use the resources. In terms of cost, Tales Toolkit gives extensive training for all the staff in your setting without the need for supply costs. I understand budgets are super tight in schools and we did lots of comparisons of other training costs (including Pie Corbett) and long long discussions to come up with a price we thought was fair for what we offer. 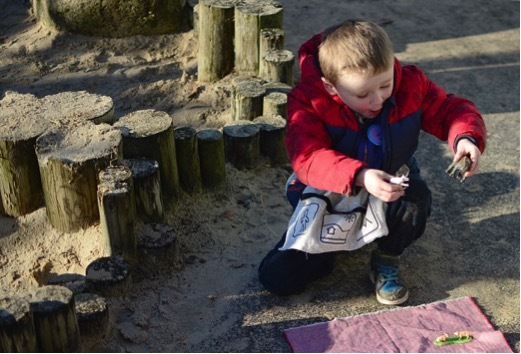 Alistair has been a big help to us from the start, he supports us because we have a shared ethos for learning through child led, creative, fun, play. Early on I provided training to a school local to Alistair so he could really understand our work. Many thanks for your reply; I understand that it is an excellent resource but it is just way out of reach for the ‘poorer’ schools. My apologies for any offence, which was not intended. No offence taken. I know how crazy tight budgets are at the moment and how frustrating it can be. I was working in schools up until earlier this year and had first hand experience of just how little there is in the pot especially in early years where Pupil Premium is less and you need so much in the way of resources! A resource worth having … yes, but completely unaffordable. In case ‘Tales Toolkit’ is out of touch with the education sector, schools are currently in severe financial difficulties right now – £800 for 1 year? I would not even be prepared to pay £800 for life. Yes, the idea is very simple – but many good teachers probably already have similar strategies and anyone who has attended any of the inspirational training events run by Pie Corbett will most likely have put his ideas into practice with amazing results. My apologies for posting a negative comment, but this resource is well overpriced in my opinion. It’s a shame that you are promoting something so simple which comes with such an expensive price tag. Yet another new fad based on old age tried and tested techniques. I use a story path approach which uses illustrations similar to what is shown in the clips above. My approach is similar to Pie Corbett and costs nothing – just a skilled practitioner. Do you receive commission on orders that use your code? Thank you for reposting our blog Alistair and it’s great to hear you’re getting positive feedback from schools. I love hearing the creative stories that children come up with. 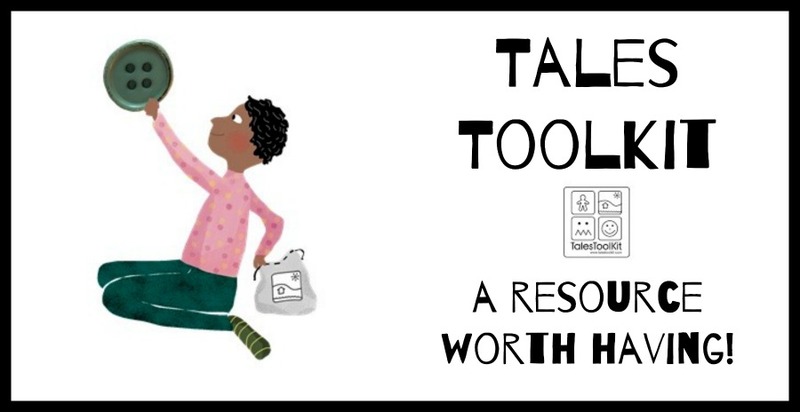 Another big benefit with Tales Toolkit is that we have a great webinar with the fabulous Alistair in our library of resources and he’s agreed to do another one with us next year!